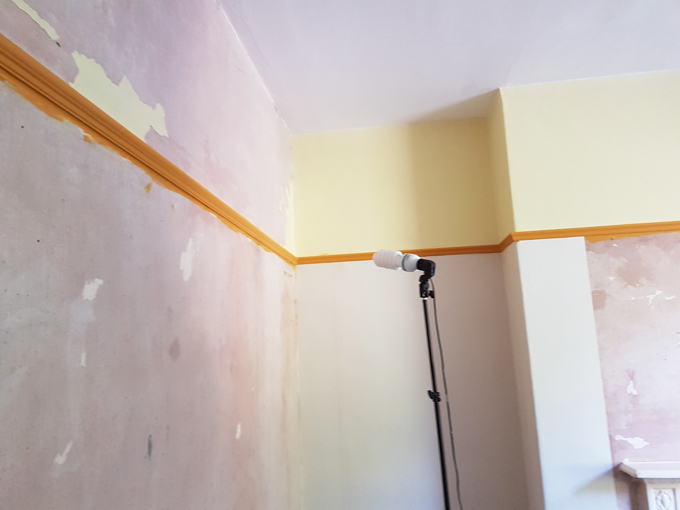 I am literally chomping at the bit to show you some full on room reveals but time is moving slowly, although I am so close to finishing 3 rooms now so I thought I could share some updates with you. When I first bought the house I had every intention of having 2 guest rooms, one in the attic and a huge luxury room on the first floor. Then I became pregnant again and my mind changed, unfortunately we lost that baby but I still maintained that it should be a room for children. Sebastian’s room became a playroom ad I decided to create a separate bedroom. 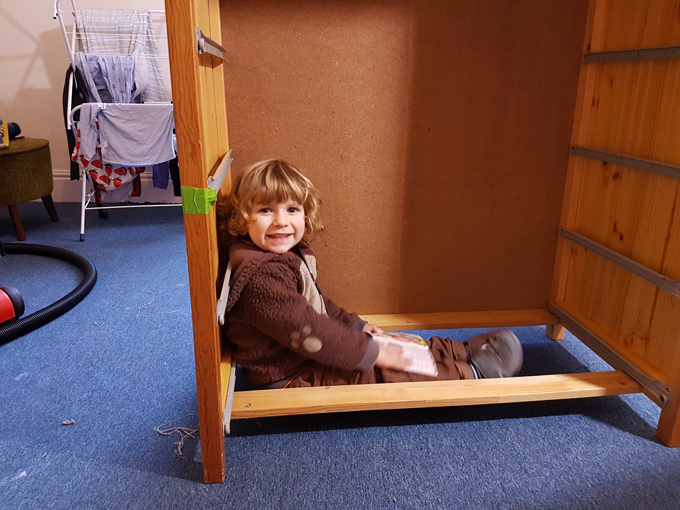 It made sense to me as we had the luxury of space so I could separate the room for giddy play and the room for calm sleep. Hey kids you have just been going crazy in here and you are surrounded by all your toys now lie quietly and sleep. Pretty much the opposite of everything we are told as adults when we talk about restful sleep; leave your phone and and laptop out of the bedroom, don’t work in there, create a peaceful atmosphere, yet with the kiddos… No wonder so many families allow toys to migrate all over the house. 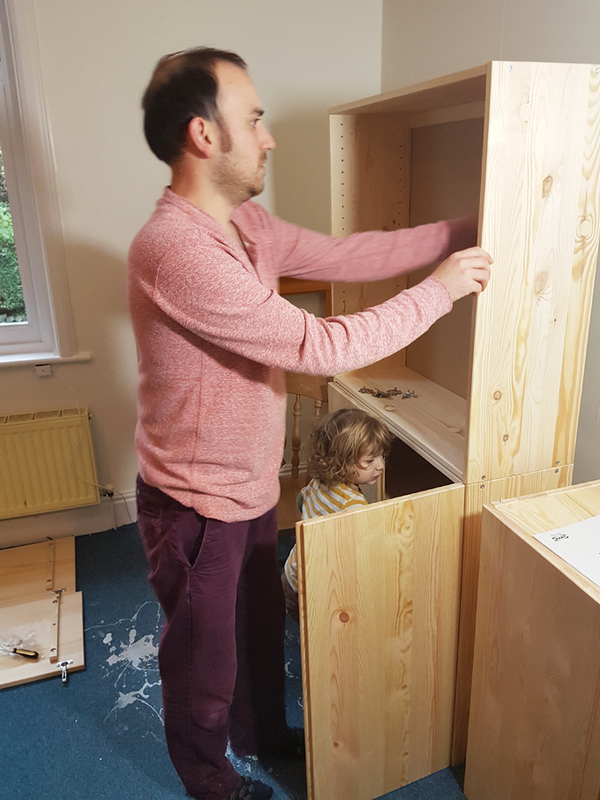 Time has moved on in our family and I am due to have another boy in March, I still intend to have one room as a bedroom and the other as a play space and here is why. 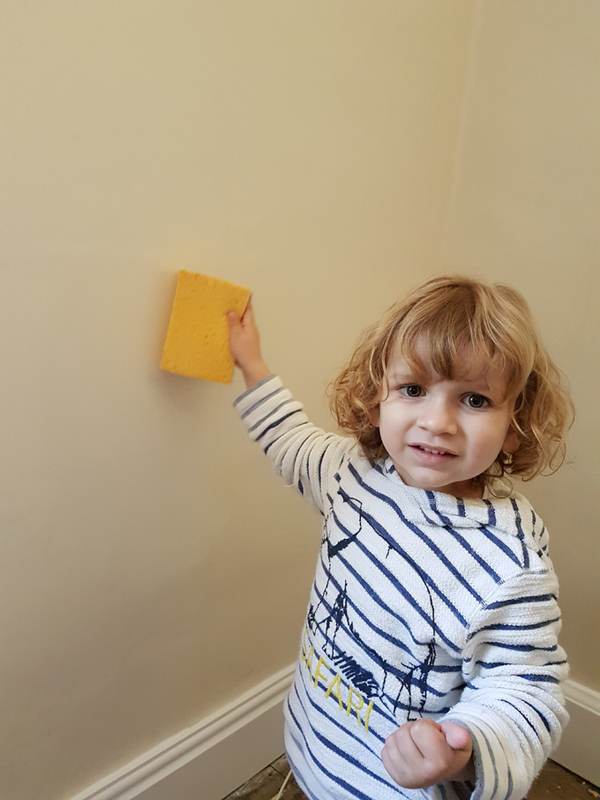 Children having all having their own room is a very new concept and it was not just a matter of being poor and not having the space, often children would sleep in a nursery and move into their own room post puberty. Girls and boys can share a room and have done for a long time. The arguments for segregating children that I have heard talk about them needing their own space. The fact is it is a room to sleep in and there are many opportunities to have space. They will wake each other up. Well quite possibly but the flip side of that is that if they wake up a little freaked out they have a buddy in there and often opening your eyes and seeing a familiar face is enough comfort to allow you to drop back off. Anyway regardless of the endless thoughts one can have on the subject that is what we are doing. This room was the first room we camped out in on a trip back from Paris as it needed no building work. It then served as an office, a store room, a wardrobe but the time is now and we set to work. 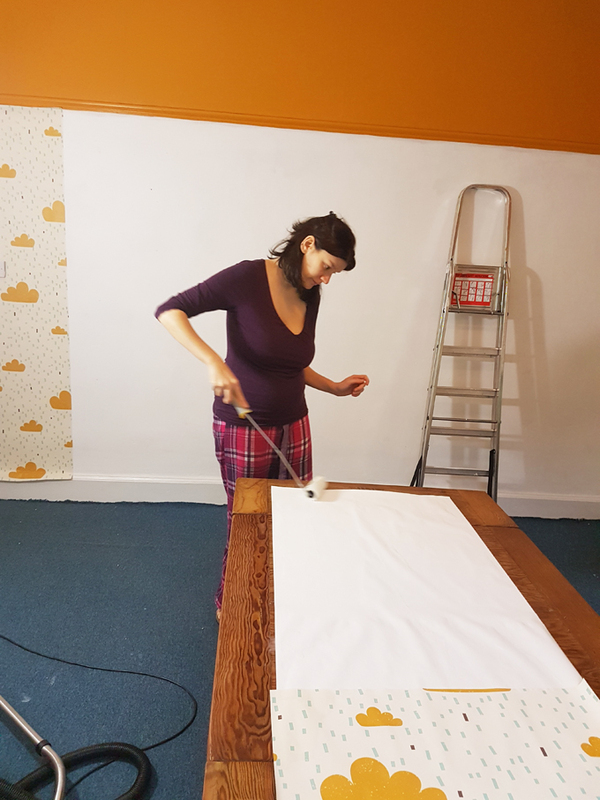 I had hoped that I could get away with not having to lining paper all of the walls but when we pulled off the old wallpaper that dream was swiftly over. 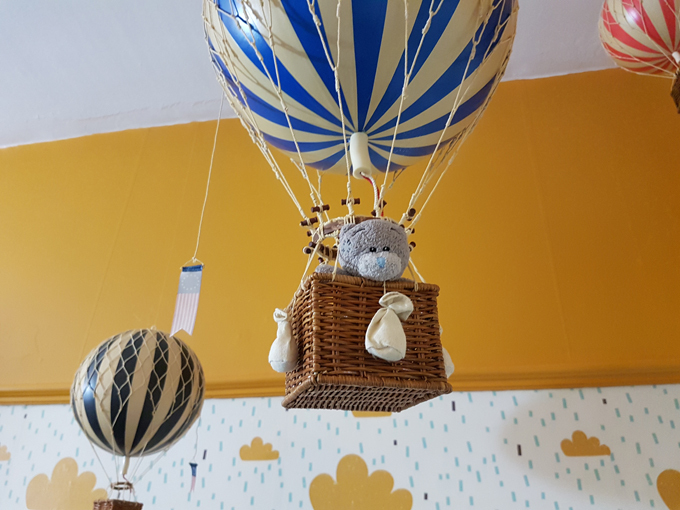 We have been collecting hot air balloon models from a shop in the flower market at Cité on line 4. One of my favourite haunts as I never grow tired of walking by the river, who would? 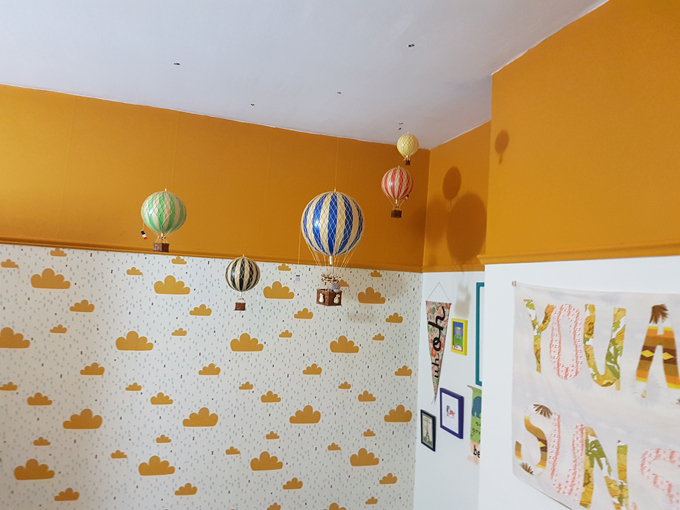 With the balloons collected they needed a home and I wanted to set them in a see of cloud wallpaper. 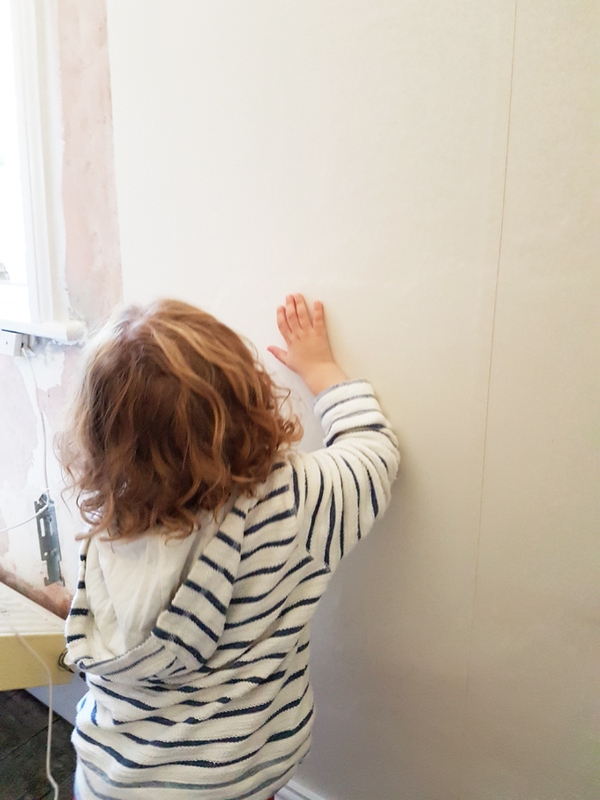 I love wallpaper and have wanted more of it in this house but my love of expensive wallpaper and my bank balance don’t exactly mesh. The room proportions are huge in this place, which is probably adding to the time it is taking to complete a project, that and a toddler! 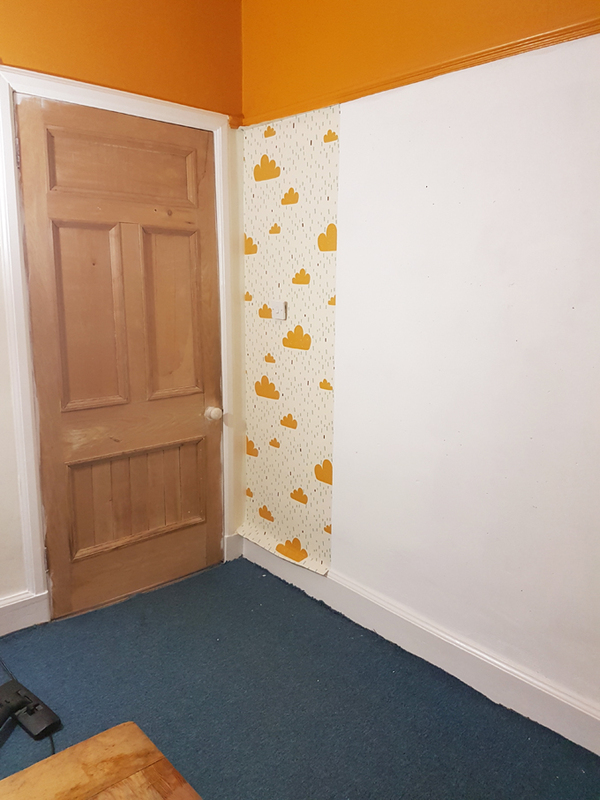 I used the room calculator and my dreams of papering every wall vanished and we were down to a feature wall, but I would make that work. The major cost in this room was replacing the window, it was unsafe, they all are but all of the other rooms do not have small children sleeping in them. 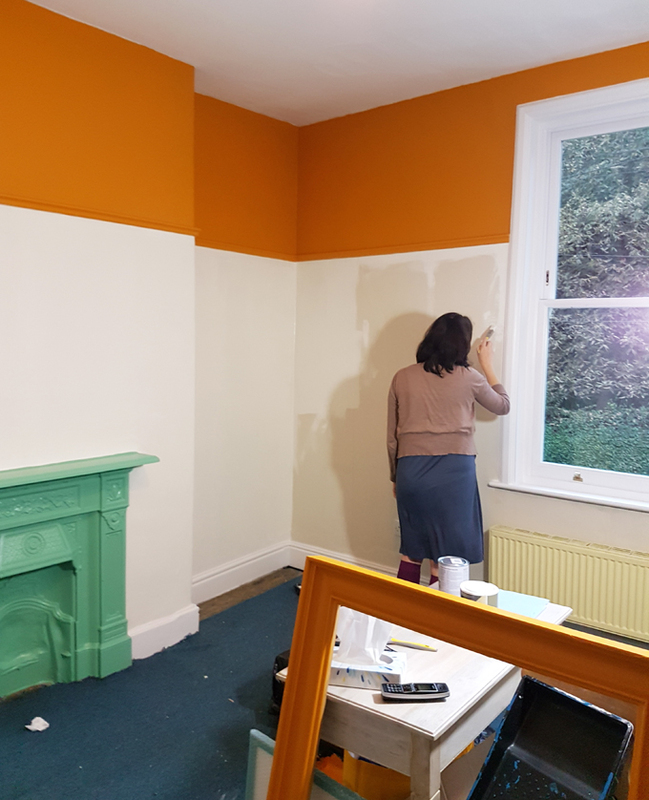 The new sash window looks fantastic and the heat is finally being kept in the room. 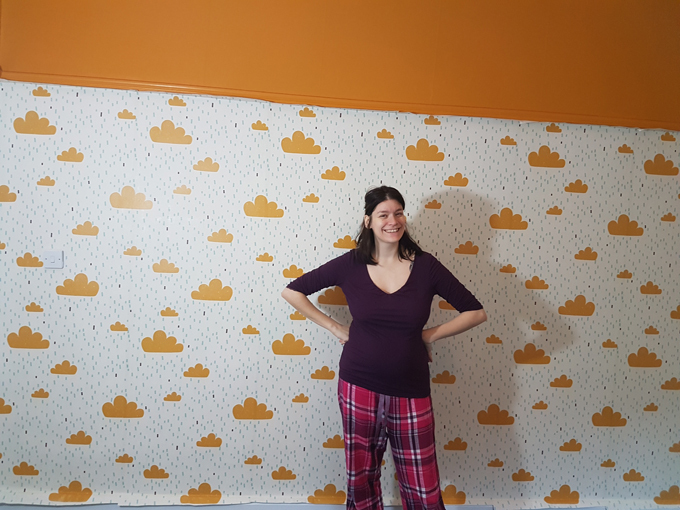 I was pretty nervous about papering the wall as I had never used pre pasted wallpaper before but the stuff I got from Spoonflower was great the whole thing was done in an hour and was fairly mess free. 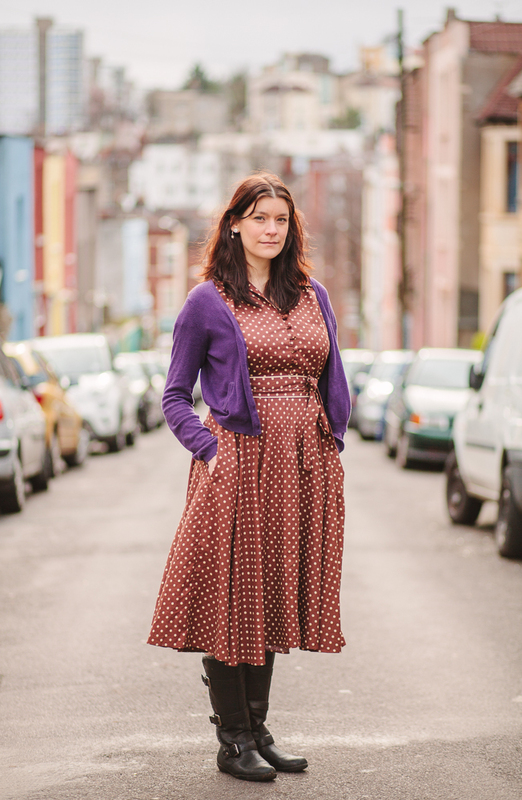 I felt pretty smug about my achievements and sharing that photo on Facebook was the first alert to my being pregnant or fat, most of my friends were too British to bring it up, others weren’t! 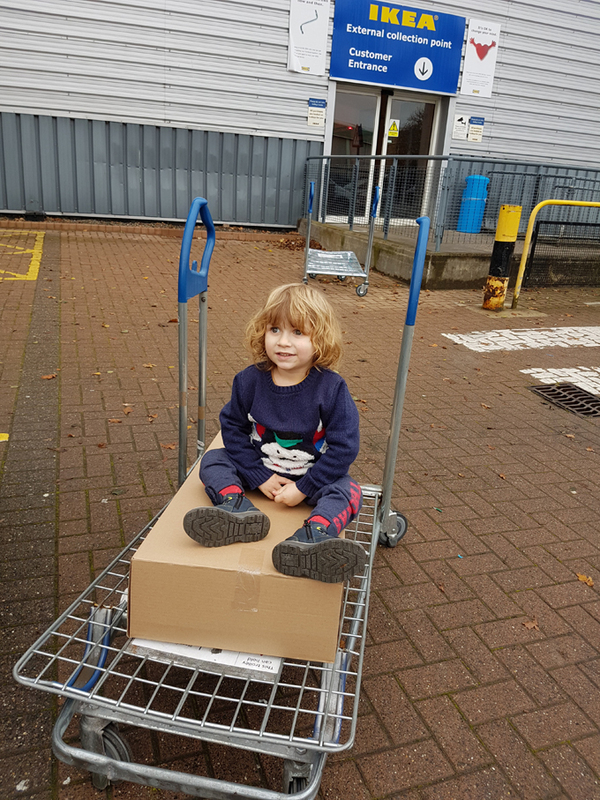 One thing being a parent has taught me is there can never be enough storage, ever! I honestly look at these sparse kid spaces on Pinterest and think seriously how guys? How? I precured a large chest of drawers from a friend and some Ivar cabinets that I mounted on the wall. I have given them both a makeover. Keeping the cabinets on the wall and off the floor gives the illusion of space, if you see floor you have the floor space. There are only a few finishing flourishes to add in here but both myself and Joe have declared it our favourite space so far. Keep your eyes peeled for details on specific projects in this room.